The punters are in gales of laughter — snorting into their dainty cups of tea — as the act on stage rattles off a impish little paean to Viagra. They like it a little naughty at The Posh Club. "Any kind of nakedness. If there's someone just in their pants they're like 'oh, I thought he was going to get a bit more off!'" someone tells us. 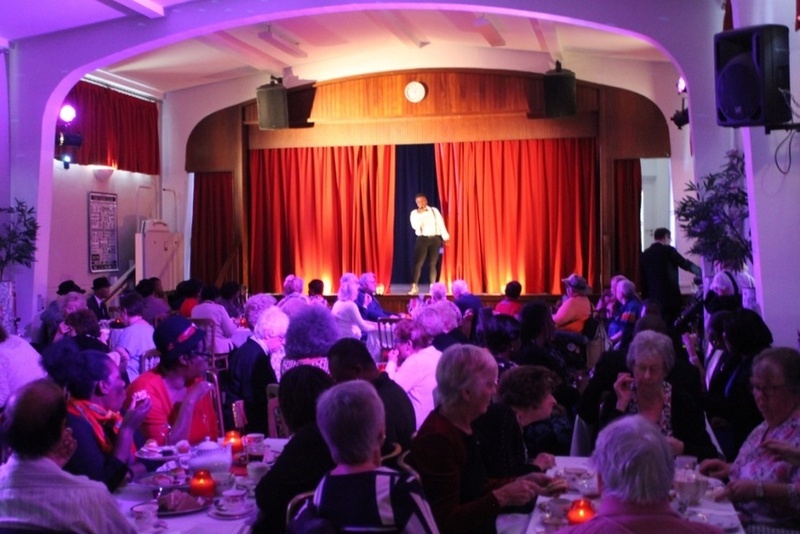 Bathed in an eggplant purple glow, red glass candles scattered on tabletops, and gold scallop shell footlights taped to the church hall stage; The Posh Club could be any other trendy Hackney popup. The dress code is 'swanky', and given the array of dusted down suit jackets and fedoras, glittering necklaces and glossy blouses, the instruction hasn't been taken lightly. More unusual about this place is that your ID is no good to you, unless you're 60 or over. No bus pass? You're not coming in. "I tell my son all about it," laughs Rita, as she tucks into scones and sips from a floral porcelain cup. "I tell him what happens here and everything like that, him and his friends, and they say 'We want to come!' I say 'You're not old enough!'" The Posh Club is the brainchild of of LGBTQ pioneers Duckie (they of Amy Lamé and Royal Vauxhall Tavern fame). 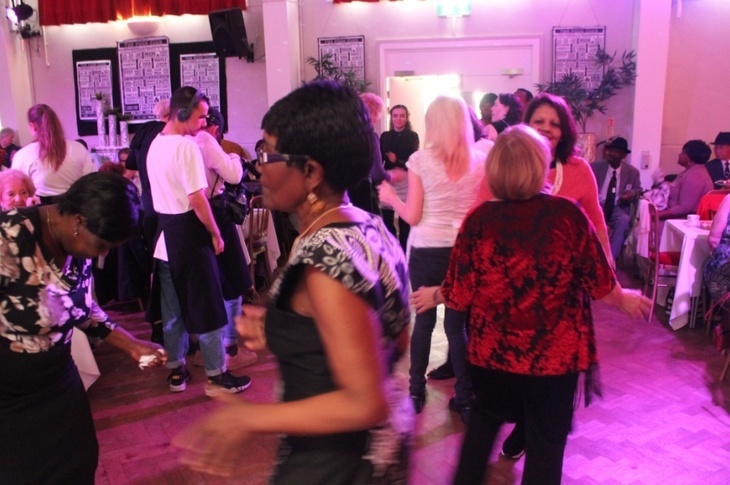 It's a 'daytime nightclub' for older partygoers, running every Tuesday in Crawley, and each Wednesday at this church hall in Hackney. And it has been a runaway success, with runs planned in 2018 for Elephant and Castle, Brighton and Hastings. The older generation still craves a good knees-up. The secret to The Posh Club's success is all-too evident. Punters get bang for their five pound entry fee, and then some. There is not a single game of bridge, not one cup of weak orange squash in sight. 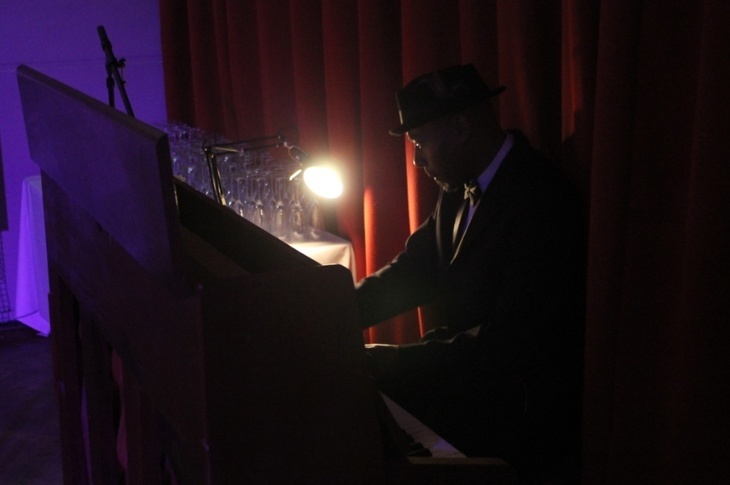 Sponges, scones and finger sandwiches are waltzed out to tables to a live pianist. Glasses of prosecco are shuttled about the hall by well-turned-out wait staff. Drag acts and musicians (Black Elvis is a firm favourite, Chinese Elvis gives him a run for his money) have the tables swaying one moment, cackling the next. It's a place that ushers in indulgence and rolls back the years. 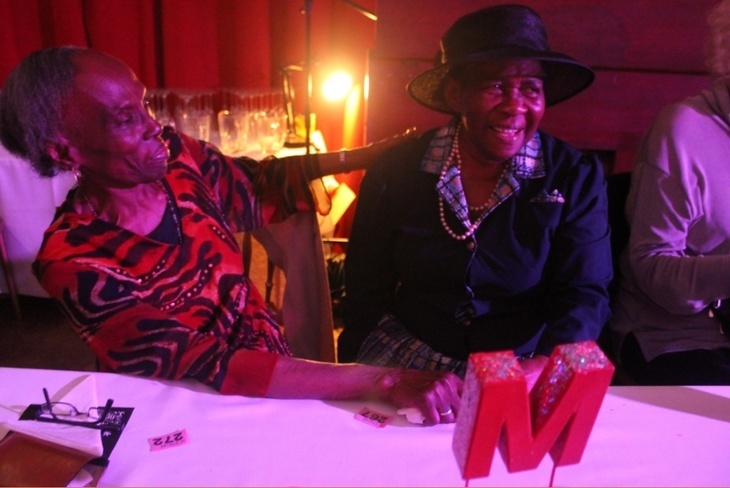 "Everything they do here has got a little bit of class attached to it," says Rita, "Even the way they do the raffle. Here they come round and give you your present — you haven't got to walk up there in front of everybody." "I like the elegance of it," chips in her friend Jo, "You drink out of proper cups. I don't drink out of mugs, I only drink out of cups." Getting ready — going to the hairdressers, picking outfits and jewellery — is part of the fun too, Jo adds. 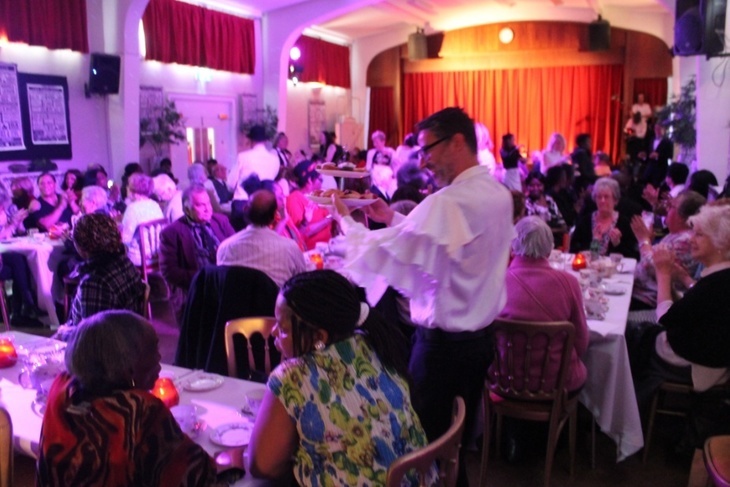 It might only be early afternoon in this Hackney church hall, but with the lights down low, the prosecco flowing and They Can't Take That Away From Me tinkling across the room, it might just as well be the early hours of the morning. "Because it's so dark in there, they come out going 'I had a great night!' and it's only four o' clock in the afternoon!" giggles Azara Meghie, today's compere. Her audience might be old, she says, but they're also unafraid to heckle. "This is them feeling like they're young again, teenagers," she explains to us out in the hallway between stints on stage, raising her voice above the booming of Bob Marley's Could You Be Loved. "Being a bit adolescent and playful. They like that interaction where they can be a bit naughty. 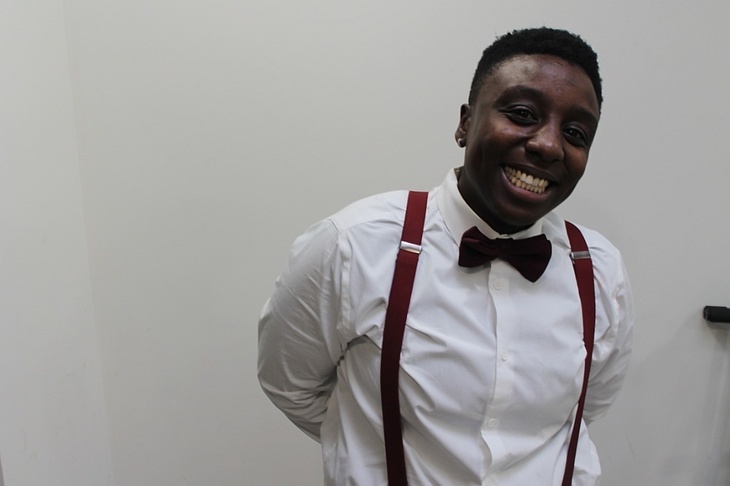 "It's really helpful in terms of incorporating queer art in front of them, because they're an older community. They all have different views but they actually seem really more accustomed, and open to accepting it on this platform." 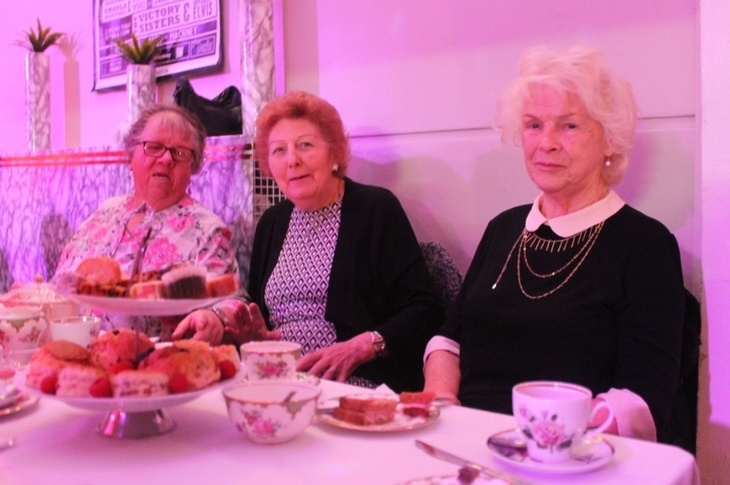 While some of the elderly punters encouraged their children to get involved volunteering with The Posh Club, others, like Azara, got their parents into the club. "My mum comes here. I had to really go 'Mum. come here'. It's great, because otherwise she doesn't get out that much. It literally changed her life. She was quite depressed before, and now she's a little celebrity when she comes here. Back in the hall, the between-acts disco is hotting up. 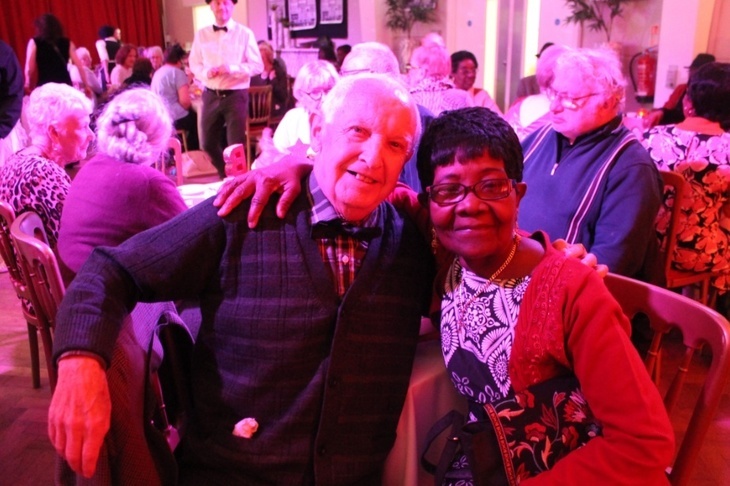 We catch Barbara, and her partner Peter, who met ballroom dancing. "It gets us out of the house," says Barbara, "somewhere to go, something to do instead of sitting in watching the telly all day. You meet a few people, you have a chat, you feel a lot better. You hear different stories about different people, and that makes your day." What's their favourite thing about The Posh Club? "The people, the entertainment," says Barbara. "Prosecco," adds Peter. Sandra: "You talk to the people here, and you make friends with them just like that. It's friendly, everyone joins in. A lot of people need that." The serious side to The Posh Club, of course, is its role in the community. 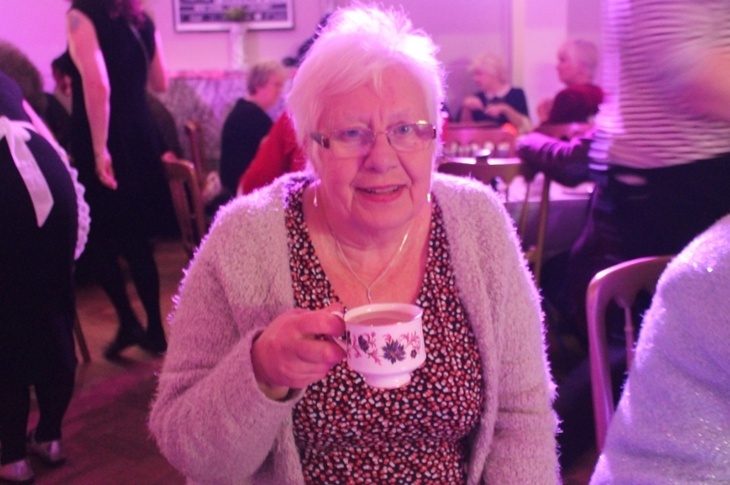 "It is the highlight of many people's week," a volunteer called Alan tells us, "the club has many widows and widowers." "I do quite a bit of voluntary work, and this doesn't feel like voluntary work — it feels like a little party." Amid all the gentrified excitement of today's Hackney, its older citizens can feel shortchanged. The Posh Club and Duckie are doing are damn fine job of providing this non-condescending, thrifty brand of razzle dazzle — and its growth is testament to this. But some of the elderly punters feel that more needs to be done in the community. "I don't know why they don't have this type of thing on at the town hall," says Jo, "They've just done it all up, spent millions of pounds on it, so why don't they have something for old people? "Even if you read all the papers, it's all for youngsters, but there's so many old people who need these places to do in the daytime. "We can't sit and watch telly forever." The Posh Club opens in south London, with a Christmas Special running from 14-16 December at Elephant & Castle Shopping Centre.